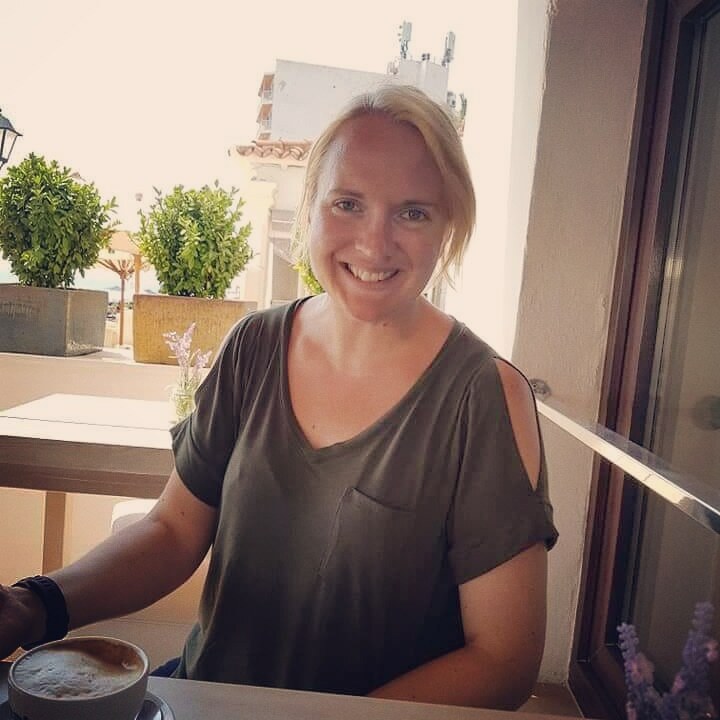 This week saw a big day in my antenatal schedule – the first of my additional growth scans to ensure that there are no signs of any fetal growth restriction, and a check-up with the consultant that all is well with my blood pressure. Neither of which I would have to worry about if it wasn’t for having developed pre-eclampsia in my first pregnancy, but this is the situation I find myself in and I’m grateful for the extra attention to put my mind at rest. 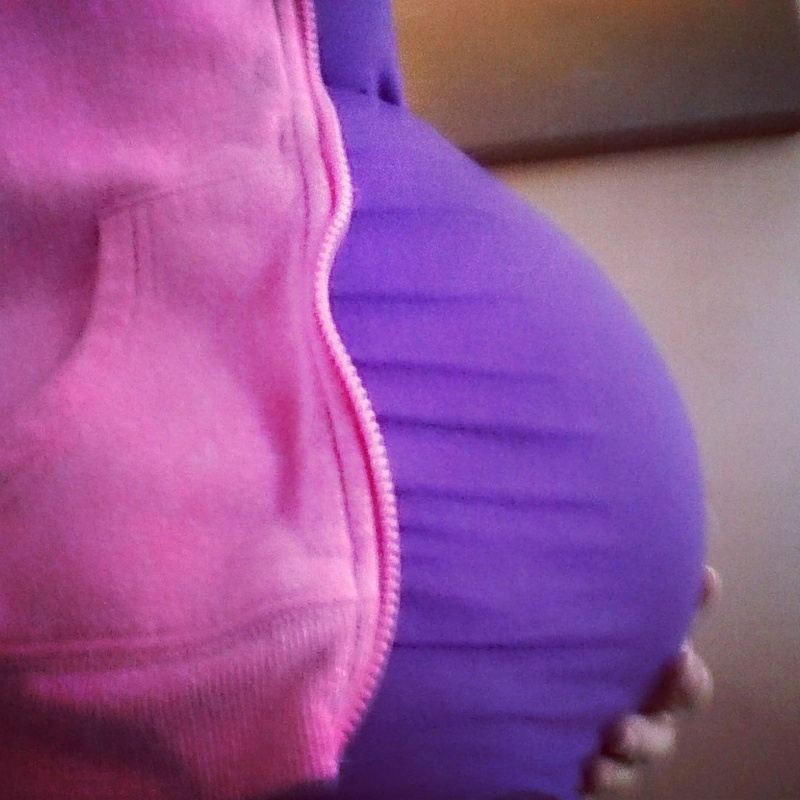 28 week bump sticking out nicely! I was accompanied to the hospital by my mum, who had jumped at the chance to see the scan first-hand when my husband couldn’t get out of work for the morning, and we both marvelled at the wriggly black and white image on the screen as the sonographer got the necessary measurements. Bump’s legs were curled up awkwardly to get the femur length but with a bit of perseverance, everything was captured. And all was well. With an estimated weight of 3lb 2oz already, and sitting comfortably above the 50th centile, there are no concerns for his growth at this stage. We managed to get a couple of ‘head shots’ printed out, before he grows too big to get a good scan picture. Then I gave the customary urine sample and had the all-important blood pressure measured – 115/73 – probably about as normal as you can get. The consultant then came in to explain the scan results. Bump was neither too small nor too big, uterine artery blood flow was good, and my BP was better than his own. 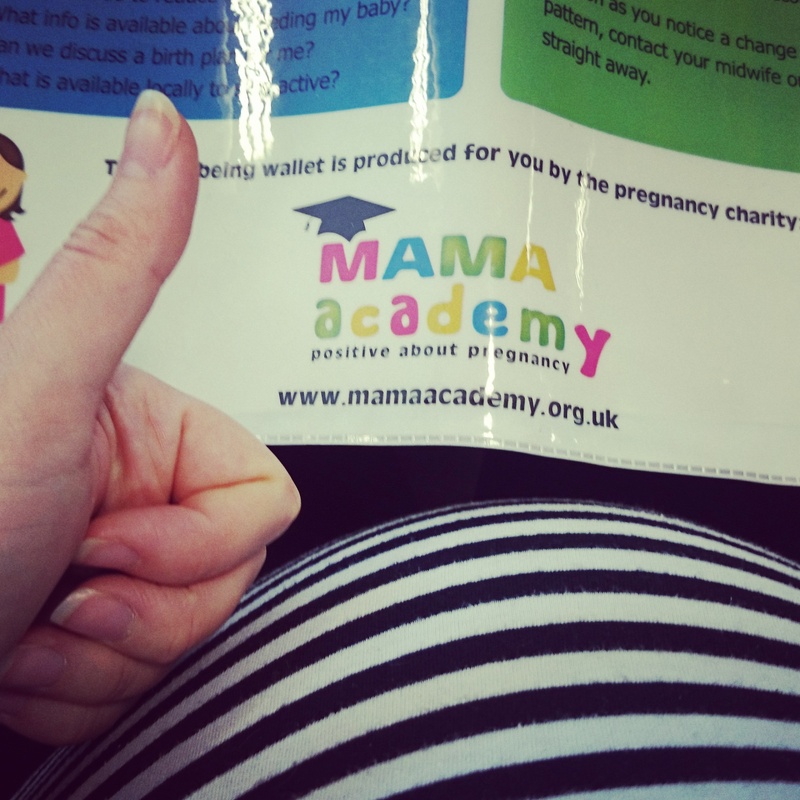 Back at 32 weeks to check again – and I was done! After a celebratory decaff vanilla latte and blueberry muffin in the hospital Costa (it’s all glamorous), we then had to head off to my GP surgery to see the community midwife for my routine 28 week appointment, which seemed largely redundant after just having had everything checked but needed to be done nonetheless. First I had to see the practice nurse for my whooping cough vaccination and then another pee pot was filled, BP was taken again (even lower this time!) and the health care assistant took the standard 28 week blood samples – unfortunately at the second attempt as the vein in one arm was not forthcoming. Ouch. The midwife was not my usual one, highlighting the issue with continuity of care as she had to familiarise herself with my history before going ahead with her examination. In contrast with the relatively high-tech scan I had already had, the midwife palpated my abdomen to check where the baby was lying and found his heartbeat straightaway to everyone’s delight. She then got out the tape measure to estimate fetal growth the old fashioned way – I measured 29cms which when plotted on my growth chart was actually on the 95th centile! I was surprised it was such a difference to the scan measurement so it will be interesting to see how the two pan out in the coming weeks. The main thing is that Bump’s growth is certainly not restricted at the moment! Welcome to the 3rd trimester! We must have very close due dates, I just hit 28 weeks too. Interesting to hear your different experience as I’ve had no extra scans and am def on the smaller end of the scale. Hope it continues to go well for you. Sounds like both you and Bump are doing really well. I hope that continues over the next twelve weeks!